Fresh, safe, organic veggies for your family, right from your own garden. It's easier than you think to grow your own fruit. Ripened to perfection as nature intended. For the kitchen, for the medicine cabinet, for the homestead. A garden should be a place of sanctuary. It will include plants just to please the senses - sight, smell, touch. Garden success starts before you plant. Every gardener must be a soil grower. Prevention before intervention, intervention before decimation. Basic skills are the foundation of all good gardening. Beekeeping, chickens, food preservation, and more. The urban garden is transforming into a lifestyle. Seeds, cuttings, layering, grafting - breeding and growing your own plants. Gardeners need to know when to plant, and what to do each month to keep the garden manageable. See our upcoming classes and events. Garden art, links I like, and other random subjects. We garden on the Upper Gulf Coast - The Third Coast of the United States. If you are new to this region, it can be a bit of an adjustment. 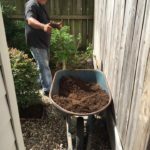 It's a GREAT place to garden, but it has its challenges. If you can learn to garden here, you can garden almost anywhere. The Garden Academy information is centered around the climate in Zones 9a and 9b and reaches northward to Zone 8 and southward to Zone 10. However, a lot of what is offered on our site is based on techniques more than zones. 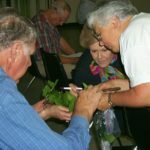 Most gardeners will find things they can add to their own gardening knowledge base with a few adaptations for climate. Our information is sorted by "classrooms". You can click to go straight to each section, or go to The Learning Center for an index of all of our subjects. Enjoy! And come back soon.